Marissa, my oldest daughter, the soccer player, wanted to share this with you. 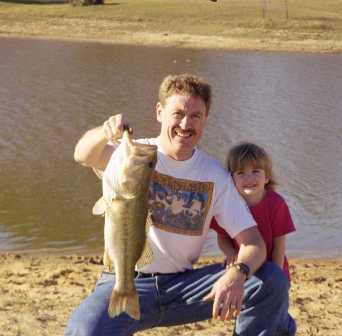 It is a photo of a huge lunker that she pulled out of her granddads stock pond. Marissa likes this photo. She wanted this one on the Blog because she hates the XRAY of her Arm and wishes that I would remove that one!